Yellow is the color that emits the maximum energy and zest. 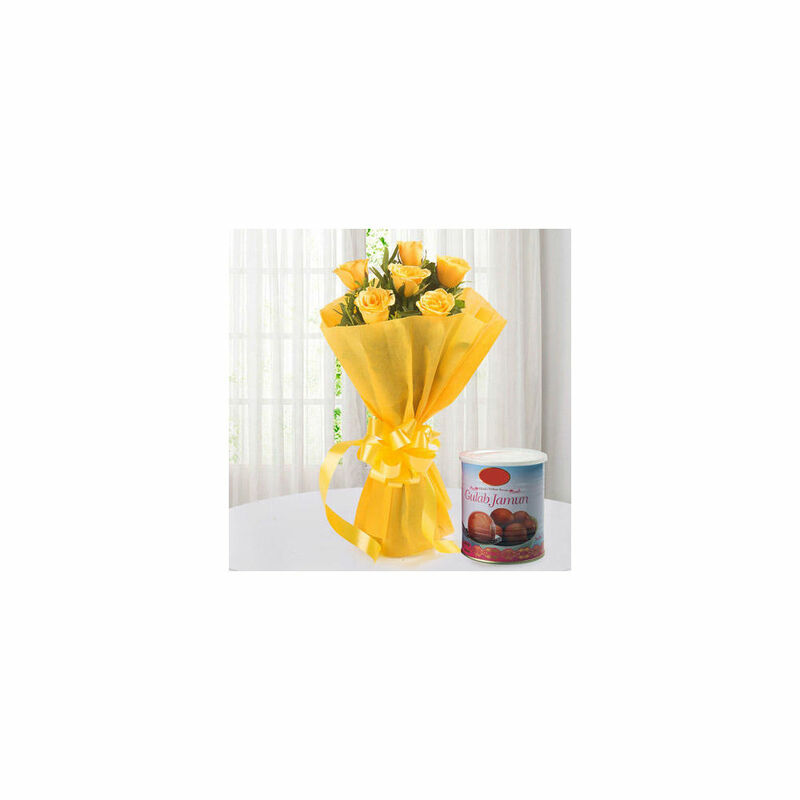 So, to brighten up someoneâ€™s day you can think of this gift set that carries optimistic yellow roses and sumptuous Gulab Jamuns. Any happy occasion would become happier with this gift set and therefore you must order this gift for your loved ones.